A truly luxurious gift to spoil your lucky recipient what ever the occasion maybe. 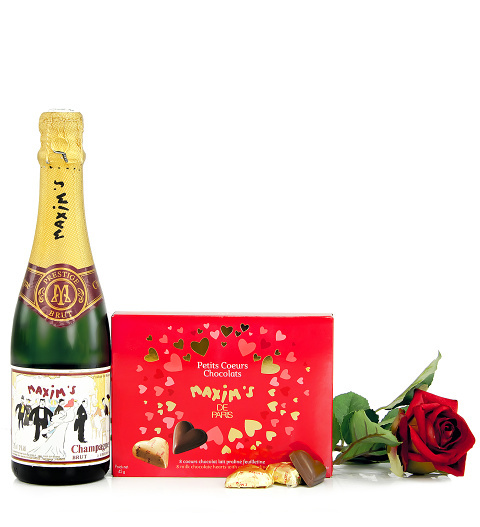 Chocolates, Champagne and flowers, what more would you want? A stunning hand made Eternal red silk rose, a dramatic symbol of love, is accompanied with an Award winning bottle of Maxim&apos;s champagne from the most romantic capital in the world Paris. Included is a delightful box of very special chocolates to make the day ever so much more memorable. The complete gift guaranteed to impress.